Last night was a first. 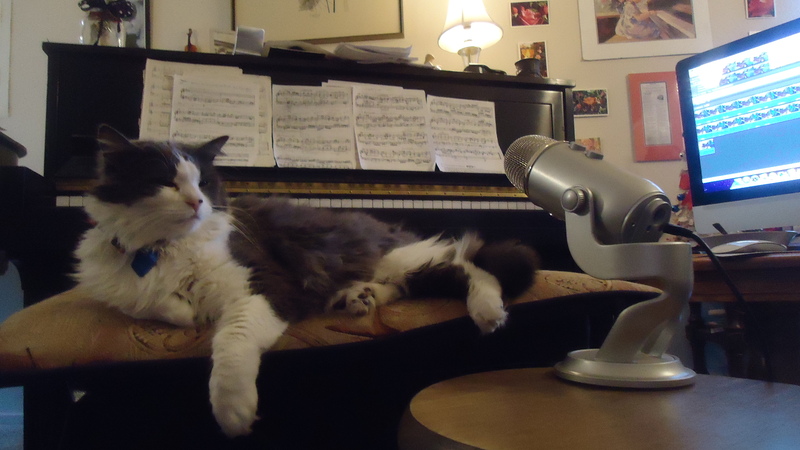 This time it wasn’t Aiden cat who short-circuited my re-recording of the Chopin C# minor Waltz. It was a Communications giant that was somehow to blame. Two belches into measure 66, (one 6 short of the Devil’s doing) and my performance was corrupted. A few splashing bottles in a tub of water had the same effect. And it couldn’t have been at a more inopportune time–when the composer chose a FLAT key modulation. The effect FLATTENED the piece. Even Acid reflux channeled through iMac by way of SKYPE was another possibility. But who would know which one was the real culprit? And why was the C# Minor Waltz a relentless victim, cursed by the Gods. I did my own trouble -shooting, contacting APPLE support and the rest, but they had no answers. For starters, SKYPE should have been silenced once I’d signed out of rural Pennsylvania yesterday morning. 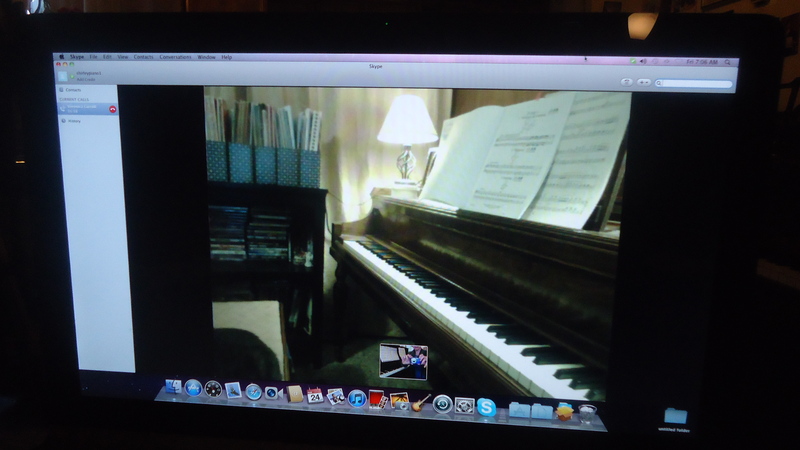 It was a long distance VIRTUAL student who sat patiently beside her elegant 1941 Haddorff after the network crashed a few times. Once things got underway it was smooth sailing, though Comcast still hadn’t proven itself a heavy-weight compared to AT and T.
I’ll say one thing– iMac never burped on my former Internet provider’s watch. If I really wanted to get low down and dirty, I could see who’d SIGNED into SKYPE when I was recording the Waltz and send one of those nasty instant messages HIS or HER way. Chances are it was one of my European contacts who was on the other side of the clock AWAKE, while I was burning the midnight oil. Or it could have been a former Skype student who signed up with a Russian teacher, and had a roommate who occasionally filled me in on his GENEALOGY expeditions. Their time difference was about 14 hours!